Pure copper; Connectors are gold-plated for improved connectivity and corrosion resistance. 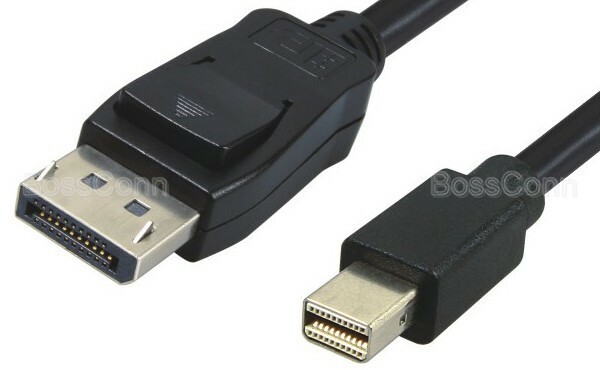 Mini Displayport Male to Displayport Male Cable Assembly. Assembled Type for Displayport end. Mold for Mini Displayport end. With latch for Displayport end.